In this method of taking the spirits with oneself, a psychic formula of the imaginal creation is repeated. It is simple, yet extremely effective if used with awareness and knowledge. The formula for taking the spirits with you consists in knowing how to talk to the spirits, the gods, who are the engine of the images. It simply means to say to them, “Come with me,” but in full awareness and with impeccable knowledge of what one is doing. Thinking of your forefathers while contemplating a photograph or when in the places they lived or when handling objects they have left, say to them, “Come with me.” If you repeat this psychic formula inwardly, you will soon be pervaded by a feeling of peace, because taking your ancestors with you means to appease their spirit. In an imaginal vision, the ancestors are powerful images projected by the psyche and they should be thought of in a depersonalised manner, not as individuals but as dreams the soul uses to accomplish its mission. The ancestors are not to be judged, but reabsorbed, like all symbols. Sacred places or places of power, where the natural energy is expressed in all its potential, are full of spirits to be taken with oneself. The method is to turn to the rivers, the lakes, the seas, the mountains, the plants, and the animals we come upon when we walk in the midst of nature and say to them, “Come with me!” Taking with you the spirits and guardians of nature certainly does not mean moving them from where they are, yet it does, at the same time, mean taking them away with you. This may seem contradictory for the mind, but it is perfectly acceptable for those who can see the complexity. That which can’t be true for the mind is true for nature, which is a complex image. Repeating the psychic formula inwardly and turning to the most powerful images of nature that can be projected by your soul, you will be pervaded by an intense feeling of joy, which is triggered by the awareness of non-duality. Even though you and the images are one single reality which self-projects, one single soul which self-manifests, you are nevertheless distinct: you are distinct but not separate. The principle of non-duality, also known as advaita dualism, is a fundamental principle of complexity. According to this principle--even though the other is non-existent, because everything is one--you are never alone, because everything is two in one and, considering that this state of non-duality is love, it releases pleasure and joy. The strongest emotional events of your life such as the emotional turmoil of your birth and traumatic events such as accidents, illnesses, and mourning, but also weddings, pregnancies, sudden intense understandings, moments of well-being, and the emotions tied to your most meaningful recurring dreams all harbour spirits, deities, genies, demons, and demonesses of great power. Beyond good and evil, and without distinguishing the good events from the bad, fearlessly take all of these energies with you, repeating the psychic formula of the imaginal creation, “Come with me!” all the while remembering the events that brought those emotions and images to you. This enables you to feel whole, complete, and allows you to relate to every part of your being, to every aspect of your soul and body, with love. It is a privilege to be true to oneself, without feeling regret for moments past and for choices made. For the shaman, a person who falls ill or is dealing with serious existential problems is a person who has lost his soul. Saying “he has lost his soul” rather than “he has lost fragments of soul” doesn’t change the picture because the soul is a complexity whereby everything is in the part and the part is in everything. The “witnessing I” is an aspect of awareness capable of observing the “I” from the outside, not falling prey to its calculating mind-set bent on control or to its fears and conditioning by the categories of imposed social values. The “I” is always in a frenzy between fear and calculation, between the sense of good and bad, personal pros and cons, and doesn’t understand that it is being manipulated. Its emotions are substantially fear, anguish, sadness, and solitude, because the “I” lives in the illusion of being separate from everything. The Self is a superior trait of consciousness; it is the awareness of being distinct yet not separate from nature and the universe, partaking of the same vacuity, which is eternal instantaneity. The Self manifests with a profound sense of calm, an a-temporal vision, a powerful energy, and a state of unfailing bliss. Selene Calloni Williams, with a degree in psychology and master’s in screen writing, has authored several books and documentaries on psychology, deep ecology, shamanism, yoga, philosophy, and anthropology. A direct student of James Hillman, she studied and practiced Buddhist meditation in the hermitages of the forests of Sri Lanka and is an initiate of Shamanic Tantric Yoga. She is the founder and the director of the Imaginal Academy Institute in Switzerland. "The concept of an illusionary material realm that must be overcome to achieve “heaven” is at the heart of all serious spiritual/metaphysical philosophies. 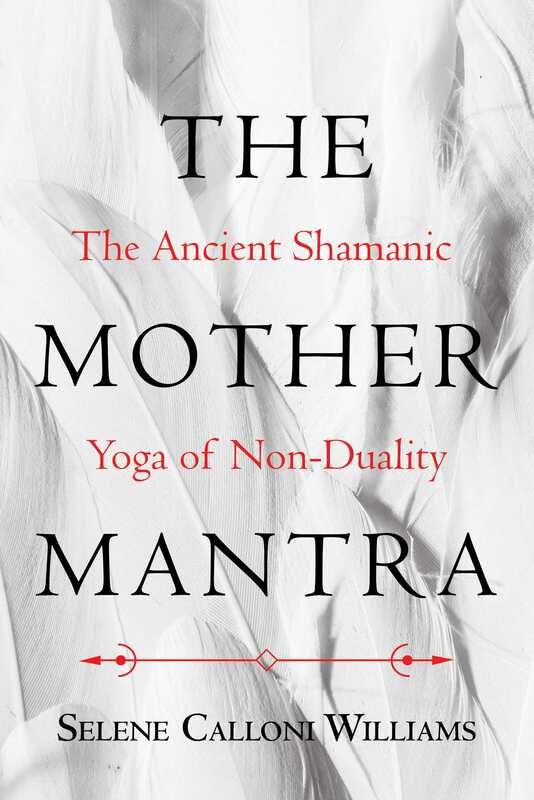 This book explains it in the language of depth psychology... Referencing Carl Jung, Joseph Campbell, and her personal teacher James Hillman, she also credits Buddhist meditation and Shamanic Tantric Yoga for the context in which she offers this wisdom to readers."